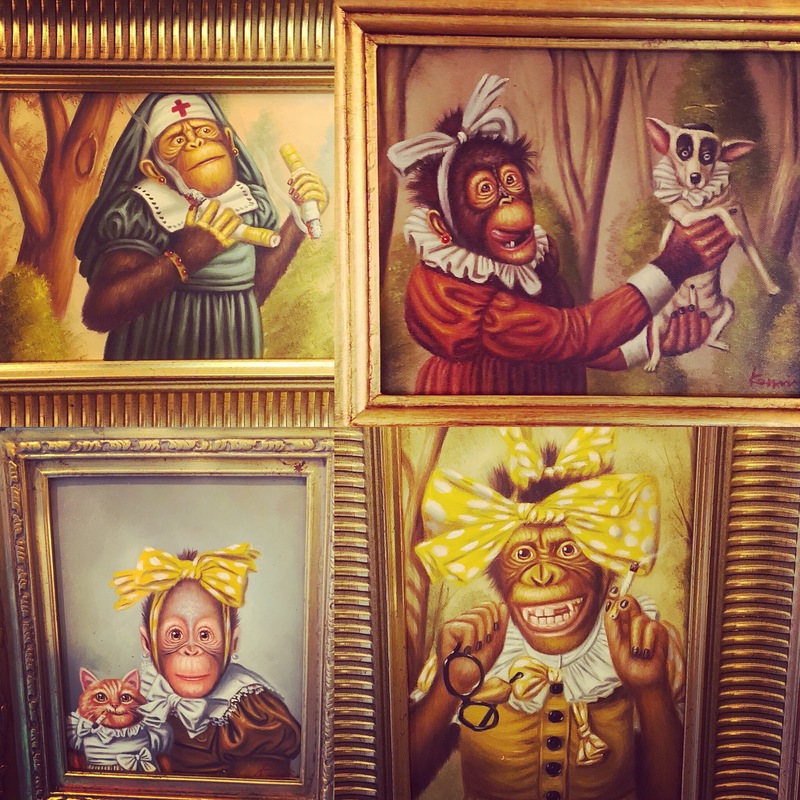 We got in a larger group of these fabulous monkey oil paintings in very obnoxious guided frames. $200 each. This entry was posted in art, kitsch and tagged dallasconsignment, dallasgift, Dallasresale, Dallasvintage, dollypython, dollypythonvintage by Gretchen. Bookmark the permalink.